Fire Tests | Contego International Inc. Testing of Contego’s intumescent paint is performed by the most recognized independent labs in the industry with each being ILAC audited, accredited and certified fire testing laboratories. All tests apply to both Contego RFB and CON-RFB brands. While Contego does a number of tests in its own laboratories and with foreign laboratories, the only tests posted on its Website are tests that meet these stringent standards. Contego is the only intumescent latex paint manufacturer that uses triple redundant quality control analysis on random batches using spectroflouroscopic FTIR analysis to map the chemical signature. There are other ways Contego goes beyond the testing activities of other fire retardant paint manufacturers. For example, all of its steel testing is done to nine stated standards simultaneously – UL, ULc, ASTM, NFPA, UBC, ANSI and CEN, ISO and BSS for the international markets served. Also, Contego publishes each of these tests on the website in their entirety – not just a one paragraph summary. Full photo documentation, whenever provided by the fire testing laboratory is also provided to its clients. 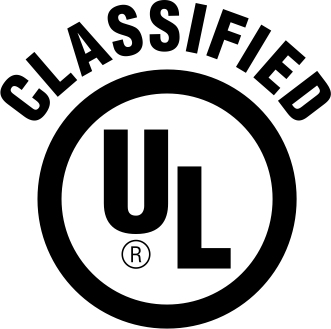 Contego can be found at UL.com as a Classified product. Contego includes UL-263, UL-723, ULc-S101, ULc-S102 as some of the many different standards to which it tests substrates. 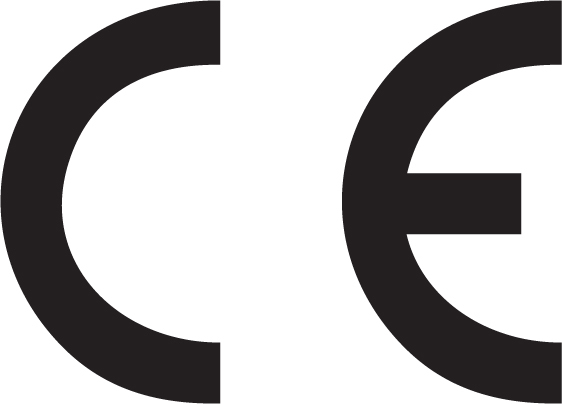 Contego has been tested by UL and bears the UL mark as a Classified product; UL is an important part of Contego’s quality control program. ASTM is the globally recognized leader in the development and delivery of international voluntary consensus standards as the actual basis for building code is typically from ASTM International (“ASTM”, formerly known as the American Society for Testing and Materials). Today, some 12,000 ASTM standards are used around the world to improve product quality, enhance safety, facilitate market access and trade and build consumer confidence. In April 2013, the Contego International passed the first of its expected European tests, the British Standard / European Standard BS EN 13501-1. 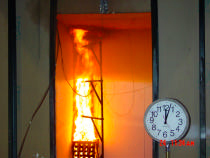 This is another flame spread and smoke production test similar to the standard in the U.S. offered by ASTM E-84. The test utilized a very thin, one coat application of the HS paint to Oriented Strand Board (OSB), therefore requiring up to 50% less product than its competitors to achieve the same result. The result of this newest test is a B-s1,d0 rating, putting Contego in league with the highest rated passive fire barrier products in the world, and allows Contego to apply the CE mark to its label similar to the UL mark currently displayed. 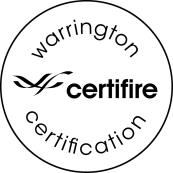 All of Contego’s tests are performed by the finest and most recognized fire testing laboratories, all of which are ILAC audited, accredited, and certified. Contego is the only intumescent paint manufacturer that uses triple redundant quality control analysis of batches using spectrofluoroscopic FTIR analysis to map the chemical signature. Most of the tests you will find in the links below were performed by UL, Intertek, Materials Analytical Services, MAGI, and KTA. Contego is unique in that all its data, regardless of which laboratory tested its products or when, is highly consistent, contributing to its nearly universal acceptance for virtually any structural design.